Ash Wednesday begins this week, marking the first day of Lent as we turn our hearts and minds toward Good Friday. Then we can celebrate Jesus’s resurrection on Easter Sunday. On Ash Wednesday, many churches hold a special worship service where the people are blessed with ashes, typically marking their foreheads with the sign of the cross. The blessing typically comes with a reminder that we all come from ashes, and to ashes, we all will return. The marking of the forehead has been a known custom since Pope Gregory the Great in 604. It has been said to have a twofold purpose, one being the ashes were marked for humility and mortality and then also for sorrow and repentance. In the 12th century, the rule developed that the ashes were to be created by burning palm branches from the previous Palm Sunday. Many parishes today invite parishioners to bring such palms to church before Lent begins and have a ritual burning of the palms after Mass. The custom of repenting with ashes was not an original Christian act, as the earliest Jews often sat on the ground in the rubble of ashes and spread it over themselves in order to express their sorrow for their poor deeds unto the world. The day before is called Shrove Tuesday. Lent is a time of abstinence, of giving things up. So Shrove Tuesday is the last chance to indulge and to use up the foods that aren’t allowed in Lent. Pancakes are eaten on this day because they contain fat, butter and eggs, which used to be forbidden during Lent. My local parish is hosting a pancake supper on Tuesday. The name Shrove comes from the old word “shrive” which means to confess. On Shrove Tuesday, in the Middle Ages, people used to confess their sins so that they were forgiven before the season of Lent began. to create an open space in it. commune more closely with the divine. a place that invites God in and asks God to stay. • What comes between us and God? • Is it time to let go of what we hold so tightly to that we can’t open our hands to receive God’s blessings? To what material things am I too attached? • What habits do I engage in that take me away from God? Is there a habit or sin in my life that repeatedly gets in the way of loving God with my whole heart or loving my neighbor as myself? How do I address that habit over the next 40 days? • What areas in my life that need more balance? • To what do I devote too much or not enough time? • On Easter morning, how will I be different? • Is there anyone in my life from whom I need to ask forgiveness or pursue reconciliation? • From Osheta Moore: I read somewhere to begin my Lenten fast with asking God what He wants me to “pick up” from Him, and that will help me discern what I should “put down” for Him. This quote from Martin Luther wakes me up to think about what adheres to my soul instead of God. Impulse buying – Don’t buy what you don’t need. Throw away 40 things for 40 days. Say 3 nice things to your spouse & kids daily. Don’t eat out for 40 days. Write a letter of thanks to your pastor, a former teacher, someone who made a difference in your life. Lent is a tremendous opportunity for spiritual growth. I hope these suggestions re-energize you on your spiritual journey. “O Lord and Master of my life, grant not unto me a spirit of idleness, of discouragement, of lust for power, and of vain speaking. If you are looking for a good book to read during Lent, I wrote 40 Voices, a Lenten Devotion that is available on Amazon. Thank you for considering this book. How will you spend your “one and only precious” life during Lent? PS I changed the format on how to leave comments with all this background technical updates I am doing behind the scenes of this blog. Sadly, I lost the last 8 months of comments though older ones are still there. Strange, right? Anyway, I love your comments and input into our discussion here. One more major step will occur this month and hopefully, this rewiring and replumbing of health spirituality will be done. YIPPEE! PPS. I have compiled 18 quotes about Lent that I am using in my journaling, prayers and times with God. If you want a free copy of these words of wisdom, just click the button below. Thanks! I laughed at your “stop eating after dinner” on your list as it was there twice. Ha! On a more serious note, thanks for the thoughts and suggestions. what is even more funny, Dolly is after I made the mistake here I did decide to do this for Lent – not eating after dinner! I’ve been reading your book, 40 Voices, each morning as part of my quiet time. Today was about Hosanna. I’d forgotten its exact meaning and appreciated the refresher lesson. Love the way you combined the literal meaning and the meaning it has taken on for many of us as we’ve celebrated Palm Sunday over the years. “Hosanna gives hope, joy, and help.” AMEN to that! Thank you also for these creative suggestions to make Lent a more meaningful time, so we are different people by Easter morning. Purging excess stuff, excess food, and excess attention to unimportant matters (to combat my perfectionist tendencies!) sounds like a fitting discipline for me to embrace these forty days. Your words mean so much to me!! Thanks for all these great suggestions and questions, Jean. This–> “Is it time to let go of what we hold so tightly to that we can’t open our hands to receive God’s blessings?” My Lent theme this year is Go Slow and Say No. I need to release some things so I can lose the overwhelm and be more restful in God’s presence. Thanks Lisa. Isn’t it amazing how writing about a practice helps the writer – us – also clarify our own journeys? I love your theme and the idea of a theme for this season. I know at church our Lenten theme is the Sermon on the Mount – a powerful way of living – I think I will spend more time with Jesus’ lessons there as my theme this year too. Thanks for helping me realize that. Thanks for this very practical reminder of what Lent can be this year, Jean. Thanks Linda. This is a sacred and valuable season and one I take seriously. What a wonderful post with so many meaningful ways to ensure that we will, indeed, be new creatures by the time Easter comes. I smiled that “No eating after dinner” appeared twice on your list — and I’m wondering if that’s because YOU needed it to be there twice or because I needed it to be there twice (or both!). 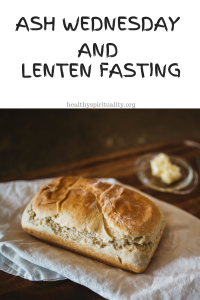 Your overall point is so important — there’s no right or wrong way to “do Lent” but we should somehow set it apart and make it a sacred time. Thank you for this important reminder. I’m sorry about your technical glitches — they can be so frustrating, but probably all worth the wait when the work on your site is done. Jean, your list of suggestions is wonderful, and I always love being reminded of the history of Lent. Like you, my post today is on that very subject! May your Lenten season be a blessed one! I loved it that we both wrote about Lent today! !